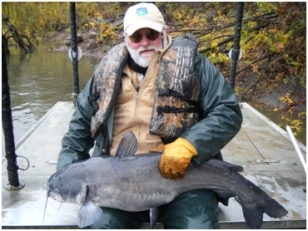 Our staff is lead by J. Fred Heitman, a Certified Fisheries Professional by the American Fisheries Society. 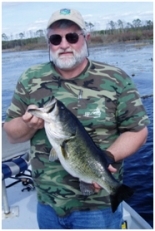 He has more than 35 years experience in performing fish sampling studies. Additionally, he is a recognized expert in the area of NPDES stormwater permitting issues. He is a Certified Stormwater Inspector and a Certified Erosion Inspector both by the National Stormwater Center. He is state certified in both Tennessee and Florida to conduct stormwater inspections. Mr. Heitman has had an extensive amount of training to augment his considerable experience. Some of his training is listed below. His work summary is also included for your consideration. Contact Fred to see how AMERICAN AQUATICS might be able to help you. Mr. Heitman is active in several professional organizations. He usually is seen as a natural leader by others, and as a result he has served in various leadership capacities for organizations from local to international perspectives. Below are some of his leadership credentials. Mr. Heitman has produced a number of peer reviewed publications that have appeared in several scientific journals. He also has served as an editor of fisheries related scientific journals. Below is a list of his peer reviewed publications. Heitman, J. F. and R. Wallus. 2008. Largemouth Bass, Micropterus salmoides (Lacepede). pp 310 to 350 in R. Wallus and T. P. Simon, ed. Reproductive Biology and Early Life History of Fishes in the Ohio River Drainage. CRC Press, Taylor and Francis Group, Boca Raton, Florida, USA. D. Riecke and F. Heitman. 2008. Chemical application and hazardous waste safety. In: Professional Safety Committee. Fisheries safety handbook. American Fisheries Society, Bethesda, MD. Heitman, J. F., D.C. Jackson, D. Pender, R.L. Curry. 2008. Development and Implementation of the American Fisheries Society Disaster Relief Program, American Fisheries Society Symposium 64:169 - 183. Heitman, J. F. 1983. Subsurface Migration of Oil and Gas Drilling Wastes from an Abandoned Strip Pit, Gowen, Pittsburg County, Oklahoma. Pub 118, OWRB. Heitman, J. F. and M. J. Van Den Avyle. 1979. Species Composition, Catch Rates, and Impact of a Commercial Net Fishery in Watts Bar and Chickamaunga Reservoirs, TN. SE Assoc. Game and Fish Comm. Bulow, F. J. and J. F. Heitman. 1978. Methods of estimating time of annulus formation on fish scales. J. TN Acad. Sci. 53(2):74. Bulow, F.J. and J.F. Heitman. 1978. 1977. Time of Annulus Formation in Bluegills in Three Central Tennessee Reservoirs. J. Tenn. Acad. Sci. Bulow, F.J. and J. F. Heitman. 1979. Comparison of Three Methods of Determining the Date of Annulus Formation in Bluegills. J. Tenn. Acad. Sci. Heitman, J. F. 1979. Impact of a Commercial Net Fishery on Striped Bass in Two Tennessee Reservoirs. MS Thesis. Mr. Heitman also has authored and co-authored numerous scientific and technical reports in the areas of fisheries, water quality, RCRA, and related environmental issues. Mr. Heitman frequently makes professional presentations at scientific and technical meetings. Listed below are some of the presentations he has made. Heitman, J. F. 1997. How Students Can Prepare for Private Sector Jobs. AFS Southern Div Mid Year Meeting. Heitman, J.F. and D.L. Harris. 1998. A Salt Delivery System for Boat Shocking in Low Conductivity Lakes. TN Chapter AFS. Heitman, J.F. and D.L. Harris. 1999. Habitat Enhancements as a Way to Improve Fish Production in Small Impoundments. TN Chapter AFS. Heitman, J.F. and D.L. Harris. 2000. Habitat Management as a Means to Improve Fishing Quality in Small Middle Tennessee Reservoirs. TN Chapter AFS. Heitman, J.F. and D.L. Harris. 2001. Sampling Fish Populations in Contaminated Environments. AFS Southern Div. Midyear Meeting. Heitman, J. F. 2001. Private Sector Hiring: How it Differs from Public Sector Employers. AFS Southern Div. Midyear Meeting. Heitman, J. F. and D.L. Harris. 2001. Collecting Fish from Environmentally Contaminated Sites. TN Chapter AFS. Heitman, J. F. 2003. How to Get a Private Sector Job. Presentation at the Student Workshop, AFS Southern Division Spring Meeting. Heitman, J. F. 2005. Private Sector Employment Requirements. Presentation at the Student Workshop, AFS Southern Division Spring Meeting. Heitman, J. F. 2005. 316b – The Fisheries Biologist Right to Work Law. Presentation at the Southern Division AFS Spring Meeting. Heitman, J. F. 2005. 316b – The Fisheries Biologist Right to Work Law. Presentation at the Tennessee Chapter AFS Annual Meeting. Brindley, T and J. F. Heitman. 2006 Changes in fish assemblages in small Western Kentucky streams. Presentation at the Southern Division AFS Spring meeting. Brindley, T and J. F. Heitman. 2006 Changes in fish assemblages in small Western Kentucky streams. Presentation at the TN/KY AFS joint chapter meeting. Frerking, M. and J. F. Heitman. 2007. Catch comparison between two types of gillnets in Lake of the Ozarks, MO. Presentation at the SD AFS Spring meeting. Heitman, J.F. 2008. Southern Division Leadership Training. Presentation at the SD AFS Spring meeting. Mr. Heitman has made numerous presentations to civic and non-technical organizations. Mr. Heitman is active in several areas of community service. He believes that it is important that we give back to our community as well as providing service too. As in his professional life people in the community often see him as a natural leader so he frequently serves in leadership positions in his community organizations. His community service is listed below. Co-Chair and Fund Raising Chair for the Club's Rotary International Centennial Project, the $350,000 Secret City Commemorative Walk. Copyright 1998-2010, AMERICAN AQUATICS, INC. All rights reserved.